Kieron Pollard has not represented the West Indies in ODIs for over 30 months but a change in guard at the Caribbean cricket board (CWI) has rekindled his hopes of making it to the ICC World Cup squad to England. 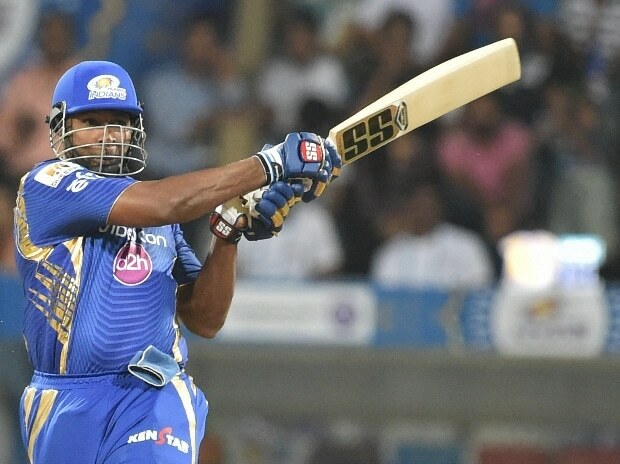 The big-hitting West Indian all-rounder led Mumbai Indians to a sensational three-wicket victory over Kings XI Punjab in an IPL game last night here with a whirlwind 83 off 31 balls that contained ten sixes and three fours. Asked if he thought he could be picked in the World Cup squad commencing in England on May 30, Pollard hinted that he is hopeful of making it to the team. "Yeah, of course you can say that. We have a new chairman of selectors, there's a new president of the cricket board (Ricky Skerritt replacing Dave Cameron as Cricket West Indies president), and as I said you take it as it comes. Last year, you might not have been asking me that question," he said. "Yes, I scored runs tonight so all sorts of questions will come but for me it's just about enjoying cricket and doing my best with my god-given talent. "I am a cricketer. I am 31 and have a lot of cricket left in me. I had people close to me backing me. 2018 is gone. When you are losing people have lots of opinions. I am enjoying my cricket once again," said Pollard about the phase that he had not been part of the West Indies team. The controversial reign of CWI president Dave Cameron, who had several fallouts with senior West Indies players, came to an end last month when Ricky Skerritt, a former West Indies team manager, won the elections. The change of guard has given hope to Pollard but he made it clear that selection is not in his hand and he would just look to score runs. "Every time I get the opportunity to play, I want to do my best. There has been a lot of turmoil in West Indies cricket over the last couple of years. We have seen in the last couple of weeks there's a change. Pollard was one of the guys blacklisted," he said. "The most I can do every time I step on the cricket field is try to put runs on the board. There's people there who have the job to select and whatever and let's see how that goes. As I said, I'm 31 years, Chris Gayle is still playing, he's 39, and he's whacking it all around," he added about fellow-Caribbean who plays for Kings XI Punjab in the T20 League. Pollard also singled out the performances of fellow West Indians Andre Russell and Sunil Narine, who plays for Kolkata Knight Riders. "We know what we can do and I think Chris batted superbly. A fellow West Indian is [Andre] Russell - he's smacking the ball and it's great to see the way he's hitting the ball - and [Sunil] Narine (in IPL)," he said. "These guys are having a good tournament and again, when your mind is free, you just go out and enjoy cricket. You don't think about much because there are a lot of opinions, there are a lot of things, but it's people as close to you and what they think matters." Pollard, who has struck 3 ODI hundreds as well as 9 fifties, had also played in the 50-over domestic competition that was made mandatory for the West Indies players to be in the running for the Cup squad before his ongoing stint in the IPL.